The strong three-dimensionality of the biomorphic and geometric forms in this composition makes them appear animated within a space bounded by color zones. 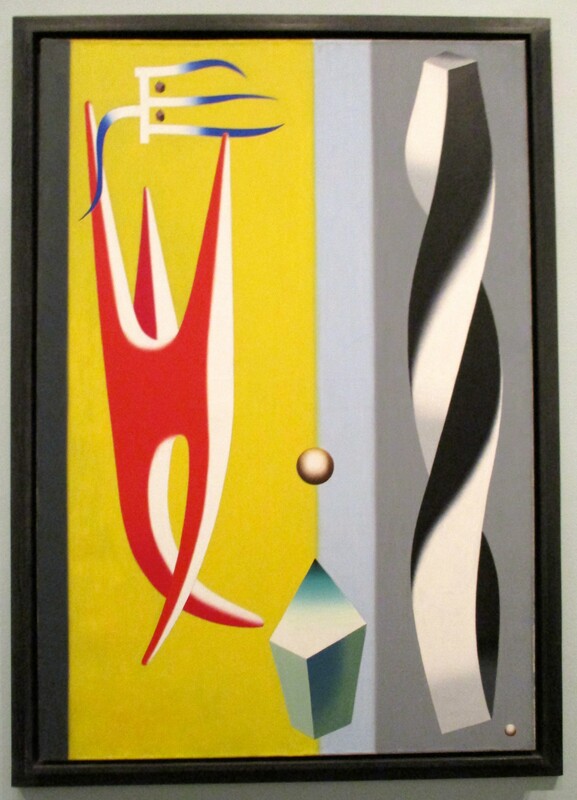 Charles Biederman (1906 – 2004) had been experimenting with styles of European modernism since 1930 and had gravitated toward greater abstraction after seeing the work of Cubist artists, newly on view in New York. 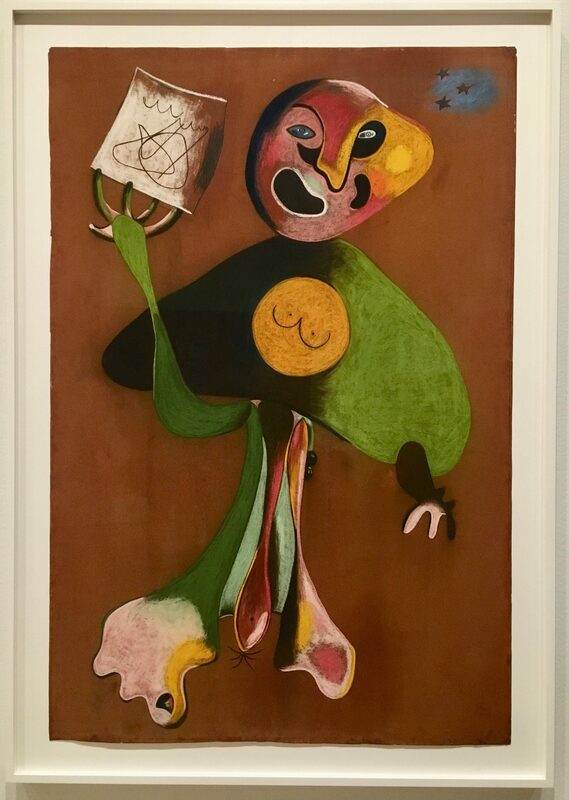 He painted this untitled work while living in Paris in 1936, under the fresh influences of surrealists Joan Miro and Fernand Leger, who preferred strange or oddly combined forms that were both unsettling and humorous.